بررسی ماده With their high degree of UV transmittance, low particle count, low acidity and alkalinity and low evaporation residue level, LiChrosolv® solvents are ideal for reproducible separations. 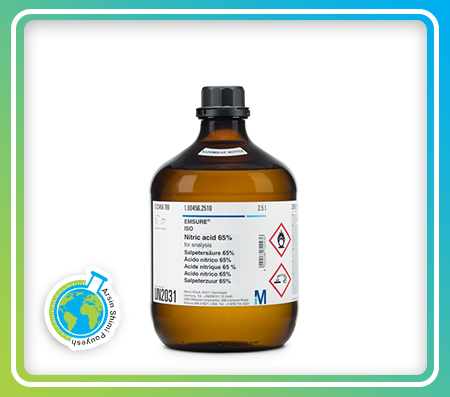 Since separations are normally carried out under gradient conditions in analytical HPLC, we offer solvents in "gradient grade" as well as "isocratic grade". This enables to minimize the gradient effect of the solvent involved. استونیتریل یک ترکیب شیمیایی با شناسه پاب‌کم ۶۳۴۲ است. شکل ظاهری این ترکیب، مایع بی‌رنگ است. این ماده به عنوان یک حلال پروتئینی قطبی در سنتز آلی و در تصفیه بوتادین استفاده می شود.